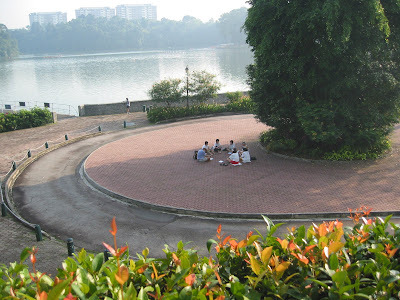 29th January 2009 - This is the fourth day of Lunar New Year, so only five people turn up today. While waiting for the rest to turn up, I asked Stefan, since he is a coin collector, what he thinks about the Amero coin. The idea for a North American currency union was first proposed in 1999 by Canadian economist Herbert G. Grubel. A senior fellow of the conservative Fraser Institute think-tank, he published a book titled The Case for the Amero in September 1999, the year that the euro became a virtual currency. Another Canadian think-tank, the C.D. Howe Institute, advocates the creation of a shared currency between Canada and the United States. Stefan said that there is also the parallel currency in the US called "Liberty coins". The Liberty Dollar is a private currency embodied in minted metal pieces (referred to as rounds) and gold and silver certificates (ALD), and electronic currency (eLD). "But is it legal?" I asked. "Well, some people consider the US dollar less legal, in that it is not based on gold or any other precious metal", Stefan replied. The Liberty Dollar warehouses were raided and the contents confiscated by the FBI and Secret Service on 15 November 2007. The FBI states that this confiscation is intended to prevent people mistaking Liberty Dollars for legal tender; the Liberty Dollar organization is accused of illegally presenting the currency as a legal alternative to the United States dollar. To date, no one has been accused of any crime. The gold, silver, and copper seized has been accused of being proceeds of crime, but no criminal charge is pending. Since departing from the gold standards, governments can just print money. This can cause inflation and chaos to the economy. The Argentinian economy in the year 1999-2002 went through a tailspin as many people changed pesos for US dollars, as the former quickly lost its value. One way out is to go into barter trade. There are already several established barter exchanges around, like barterxchange.com . During the 2001-2003 recession in France, there were Parisians who gave up their dwellings in Paris and left for the rural villages to form barter communes when they lost their jobs. 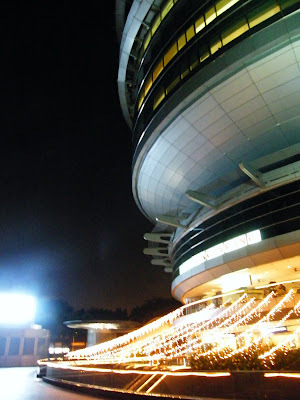 There, they exchanges goods and services, or accredited barter points, without the use of money. Will there be taxes for barter? Like other transactions, however, barter sales are taxable, and your company must report them to the IRS. This is also true of credits you receive or spend through a barter exchange; regardless ofhow you use barter credits, they're taxable as if they were cash. The U.S. Government considers barter exchanges to be legal third-party record keepers, similar to banks, brokerages, and other firms that deal with taxpayer records. However, I think enforcement of this law will be difficult and laborious to upkeep, particularly in France and other Southern European countries. There is also an exchange in the Internet that trades virtual currencies from role playing online games, and at one time, this exchange trades more money than there is in the real world. Readmore. How about an economy where everyone works only for passion and not for money, because whatever we need is already paid for? Is this Utopia or Oblivion? In Buckminster Fuller's ideal world, he envisaged such an economy in his Chapter on "World Game" in his book "Critical Path". Read more. In it, he envisaged wealth to be distributed by a global electricity grid. This is not so much a dream now if you consider some of the voluntary work that is already going on in our economy. And that is not to say it is only the free labour we find in charities, like volunteer paramedics and volunteer counsellors, but also some tasks that we have unwittingly volunteered. More so done for multi-nationals reaping huge profits, like withdrawing cash from the ATM machines. This was done previously by human cashiers. Yet we have grown accustomed to doing it ourselves. Other common free labour are: the Open Source programmers, bloggers (like this one) and podcasters. At this point, it is about 7.45pm and everyone has turned up. Stefan then introduced the book, "The Wealth of Nations". 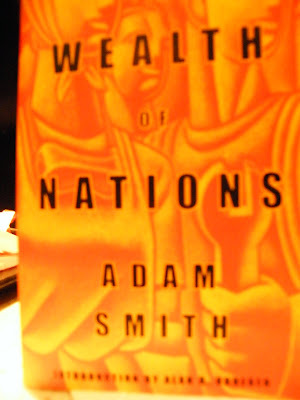 An Inquiry into the Nature and Causes of the Wealth of Nations is the magnum opus of the Scottish economist Adam Smith. It is a clearly written account of economics at the dawn of the Industrial Revolution, as well as a rhetorical piece written for the generally educated individual of the 18th century - advocating a free market economy as more productive and more beneficial to society. Adam Smith's "the invisible hand" refers to the ability of the market (of demand and supply) to self-correct from seemingly disastrous situations with no intervention on the part of government or other organizations. This is what the Austrian School of Economics is based on. It advocates a laissez faire approach to the economy. Keynesian economics based on the ideas of twentieth-century British economist John Maynard Keynes, however, says that the state should stimulate economic growth and improve stability in the private sector — through, for example, adjusting interest rates and taxation and funding public projects. Stefan brought up the concept of one using one's reputation to make money on the Web. Here money may be of a variety of currency other than those commonly found in the physical world. It could come in the form of virtual money or points accredited to one's persona and knowledge ratings. Actually, capitalising on one's reputation to make money is already happening in the physical world, for instance, where the trades of famous stock traders with a midas touch are religiously followed by others. The difference in the Internet is that the speed and intensity of the use of such reputation can be rapidly scaled up. In the Internet, there is such rating sites such as diggs. Essentially, it is a voting system, where if you like something, just give it your vote. Developing further from such online voting system for subjects, one can adopt a different persona in different subject matters, skills and expertise. Voting is also effective on the Internet as it can be done anoymously. However, does voting lead us to compromising to the whims and fancies of the lowest common denominator? This is less problematic now as more people are educated, though, it does not remove the problem altogether, as no matter how educated the population becomes, there will always be issues that the common people find it hard to grapple with. However, I find that in Cyberspace, votes, perception and accepted norms come into a stable state after some time, say a few months. The Google search engine has certain criteria to rank web pages. It is not published how its search engine works, but it is suspected that it gives some priority to originality of content. It also has a facility for users to add a website to the search, if it did not already appear in his search. Commentary of the websites that appear in the search will also be a feature soon. Next, Stefan brought out an observation he has made in the price of silver coins bidded on eBay. In the last few months, he has witnessed people bidding from 10% above the spot price of silver to now 90% of the spot price. This is when production of those coins have doubled and the price of silver has gone down from $20 to $9. (Commodity prices has collapsed recently as we see traders needing to liquidate to gather more cash, in the absence of credit lines from the banks.) This means that the price of the coins didn't go up, but maintained about the same price. More importantly, it did not go down with the price of raw silver. This could well mean that in times of crisis (or a perceived one), people feels more secure owning physical assets like silver coins.